Recently, I we had some nice weather in the area, so I just wanted to take my bike out for a little shake down before I begin my summer commutes on it. Living in an area surrounded by busy, high volume roads, I generally seek out the safest, quietest routes. This was an unplanned route, but in my head, I thought I could get down to Randolph Rd, then turn around and return via Old Columbia Pike. So I started out heading south knowing I was going to ride under the ICC via the bike trail on the east side of the interchange. It's a bit isolated for me, generally, it's not visible from the road, and therefore I find this trail to be unsafe. In retrospect, this trail should have been built for better visibility, either up higher, next to the roads, or along the neighborhood streets. Hopefully in the future, new trails will be built keeping visibility in mind. Click image for larger image of the area I rode in the Fairland Area. Additionally, as you can see from my route, I didn't quite make it down to Randolph. Unfortunately, there's no direct route southbound once I made my way south through the ICC interchange. I would have had to ride through Calverton Park, local streets, and generally take a long way to get where I wanted to go. I would be better if we just connected a trail to Randolph along the property frontage of Verizon on the east side of US-29 from Fairland Rd. Certainly, explore the map in detail more to see the roads and connections that are needed. 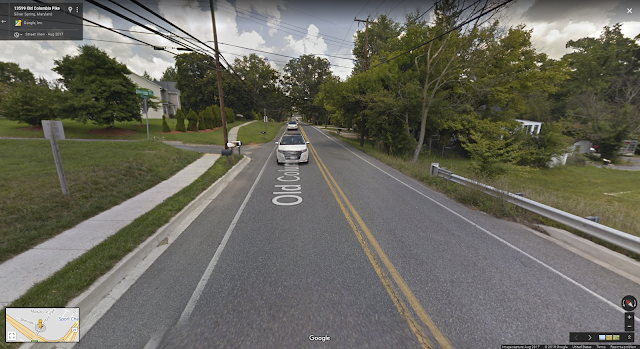 On my return, I wanted to avoid Old Columbia Pike, so I crossed and road zig-zagged through some neighborhood roads to avoid the narrow or non-existent shoulders and high volume of traffic. North of Fairland Rd, and especially the point where Old Columbia crosses over the ICC, there is no extra room on the road for vulnerable users. 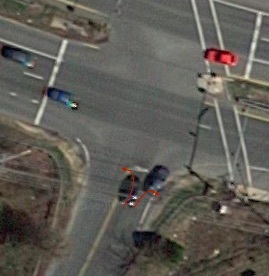 The section northbound on Old Columbia Pike could use a shared-use-path along the east side. Even if it was a sidewalk, I would be on it as drivers failed to give me even 3-ft of clearance. 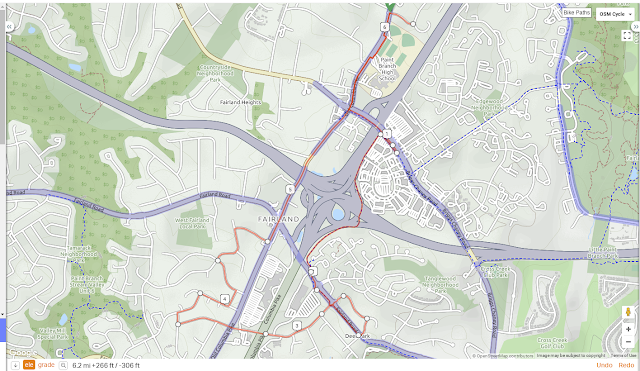 Old Columbia Pike is a major connector for biking in the area between Burtonsville and White Oak. Planning phases come and go, yet I still have no safe place to ride. Who is going to take the lead and get the money needed to build safe riding paths along Old Columbia Pike?